Alongside other researchers from seven countries across Europe, Svenja Ottovordemgentschenfelde recently contributed to a European Commission pilot study that investigated young children (0-8), families and digital technology. While the study found many common trends, Svenja highlights some country differences in parental management of media goods, contents and practices at home. She is a doctoral researcher at LSE’s Department of Media and Communications and contributes to the Parenting for a Digital Future research project. A simple Google search for the key terms “young children” and “technology” produces 146 million results within half a second. The list of hits is led by articles such as How young is too young for technology? and Are iPads and tablets bad for young children?. There has been a substantial increase in the use of internet enabled device by small children in recent years and the Google search results reveal the widespread interest in making sense of this development and its ramifications for families in Europe and internationally. What is worrisome is the degree to which much of the content and advice readily available online is often anecdotal and lacking in scientific evidence. We know from the EU Kids Online searchable European Evidence Database that only a small percentage of studies have yet focussed on small children under the age of nine. Even fewer studies include mobile devices despite the fact that tablets are the killer device amongst little ones. Those studies are rarely cross-national so as to inform shared trends and mediation strategies as well as both risks and opportunities. Perhaps most important to this blog, little attention is paid to the role of parenting and the family context. Clearly, as a parent or anyone concerned with children’s wellbeing, development and learning, you don’t have to go far (a Google search like mine is just at your fingertips) to encounter speculation, glorified predictions or scaremongering about the digital lives and futures of Europe’s youngest citizens. 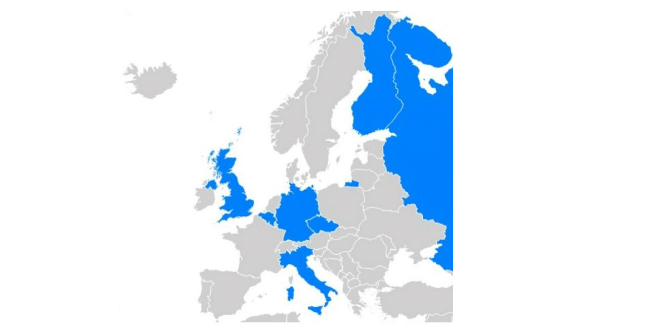 In autumn 2014, research centres and universities from seven European countries collaborated in a European Commission funded project that investigated small children (0-8) and digital technology. In a recent blog post, Sonia Livingstone already discussed the UK branch of this exploratory study, while research teams from Belgium, Czech Republic, Finland, Germany, Italy and Russia also spent time interviewing and observing 70 families with 6- to 7-year-olds in the home, their siblings and families. The study asked understand how European families appropriate a range of digital media into their homes and habits in a way that become meaningful for them and how parents express particular values or visions of ‘the good parent’ or the ‘happy family’ through their management of media goods, contents and practices. The developmental processes of very young children also shaped the findings, foregrounding questions of skill and literacy in terms of dexterity, search and navigation, problem-solving, reading and writing, and critical evaluation, all of which are important even in the seemingly-easy, visually-dominated digital environment of apps on tablets or smartphone interfaces. Popularity of devices. While tablets are young children’s favourite devices in all seven countries, other tools vary significantly in their popularity. In Finland, television has already lost popularity by comparison with personal digital devices, whereas in the UK, television is still valued as an activity that families can share. Family composition. In Italy, the extended family plays a crucial role in the socialization of children to digital technology. In Finland and Belgium, children learn from parents above all, while other relatives, friends and peers play a more subordinate role. Building children’s digital literacies. While UK parents tend not to think of digital devices in terms of learning and nor were many educational apps in use, in Finland, parents are confident that merely by playing, children would learn – to code, to collaborate. Russian parents describe a trajectory – a device would be bought for educational purposes but generally be used for entertainment in practice. Parents’ digital literacies. In the Czech Republic, Belgium and the UK, parents find media and digital devices helpful to entertain children and fill gaps in the day. In Germany, however, the “babysitting” function is not as prominent. Many German parents feel that they still need to learn how to use digital media themselves outside of their professional environment. Digital technology as both a resource and a challenge in family life. In the Czech Republic, parents feel they are faced with a mobile phone dilemma: on the one hand, they have greater control over their children (via geo-location tracking, for example), on the other hand, they lose control over the activities their children engage with on the phone. Parents in Finland share the latter worry. In Italy, parents perceive their children’s media engagement as something problematic that needs to be carefully regulated, while these tools are equally seen as opportunities to encourage social interactions inside the household. On the other hand, parents in Russia report that digital technologies separate more than unite their families. Parental mediation strategies and rule enforcement. In the UK, Belgium and Italy, digital media and devices are seen as disciplinary tools that are used to reward or punish the child for their behaviour, achievements, etc. German parents tend to be strict and overstepping media-related rules means severe consequences. 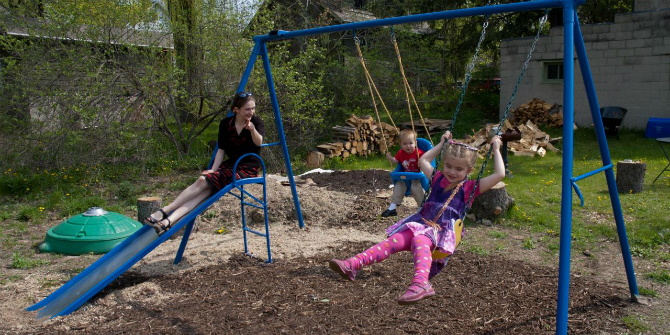 In Russia, parents self-reported that they set rules, but then fail to follow them. Long-term effects. German parents are particularly concerned about the long-term effect on their children’s health of sustained use of digital devices. In Italy, concerns centred on pop ups, in-app purchases and other commercial risks. UK parents were more concerned about violent content. However, across the countries, parents generally worried less about the risks facing little children by comparison with older children. In Italy for example, parents tend to postpone dealing with negative online experiences when children will be pre-adolescents or teenagers. Many parents have told us that digital technologies make managing the family more complicated. There is a lot of public discussion about the long-term effects of early-age media use that fuel parental anxieties and these need to be taken seriously. However, our study found that while digital technology plays an important role for young children, it is not dominating and, encouragingly, most children still lead active and varied lives.